Made from solid Missouri pine, this wall-mounted bottle opener is sturdy enough to last for years to come. 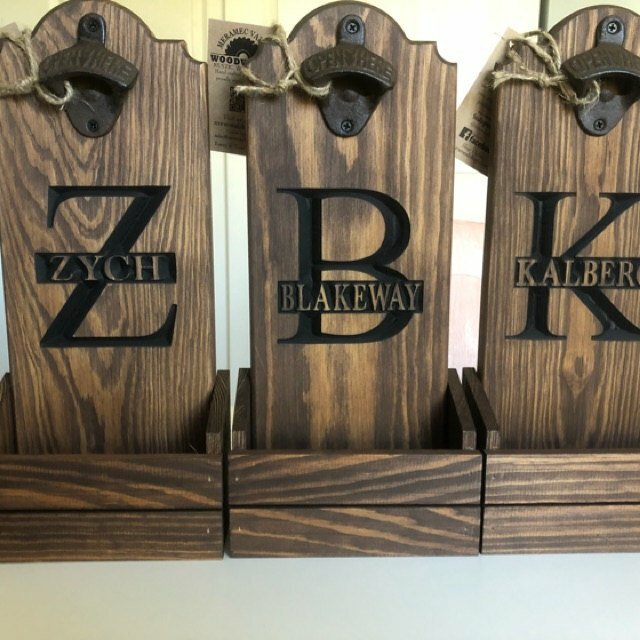 With letters deeply carved into the wood, it will have a rich custom Gift your groomsmen this opener and it will be a great hit. Measures approx. 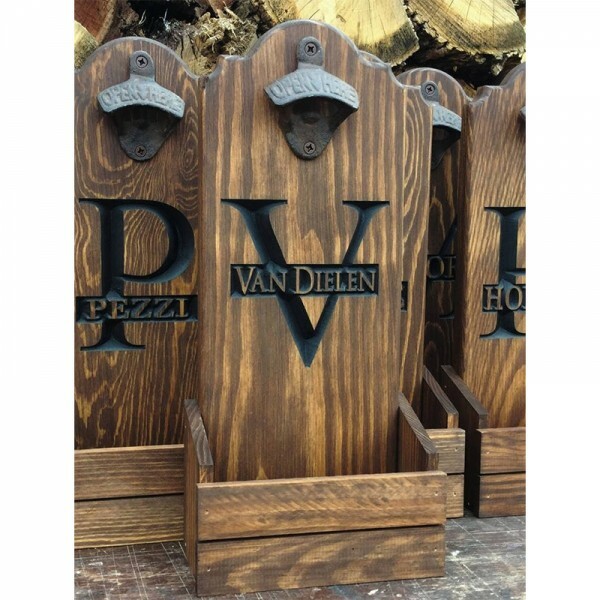 14"H x 6"W x 3"D.
Comes with rustic opener installed with a keyhole hanger routed on the back. 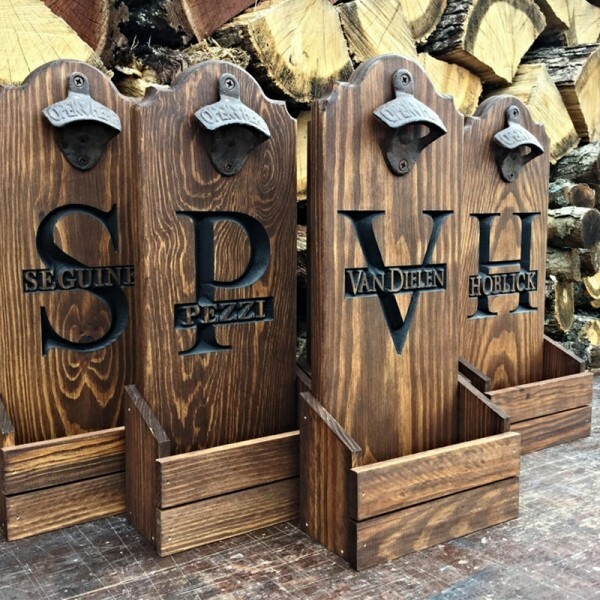 Leave your groomsmen’s names in the Personalization box when place the order. It’s perfect! Looks as good as the pictures!! 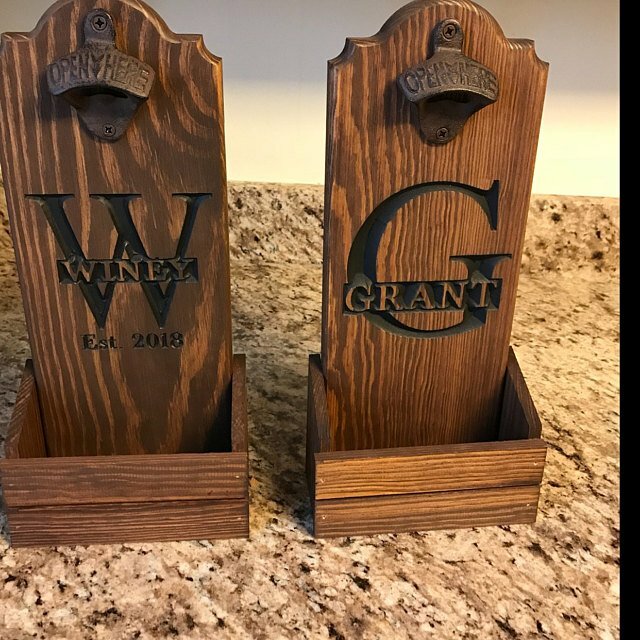 My fiancé got these for his Groomsmen. They came out so well, and were here so fast! Both of us are very happy with the result and will definitely use the shop again for future gifts! We LOVE the bottle openers that were sent to us. 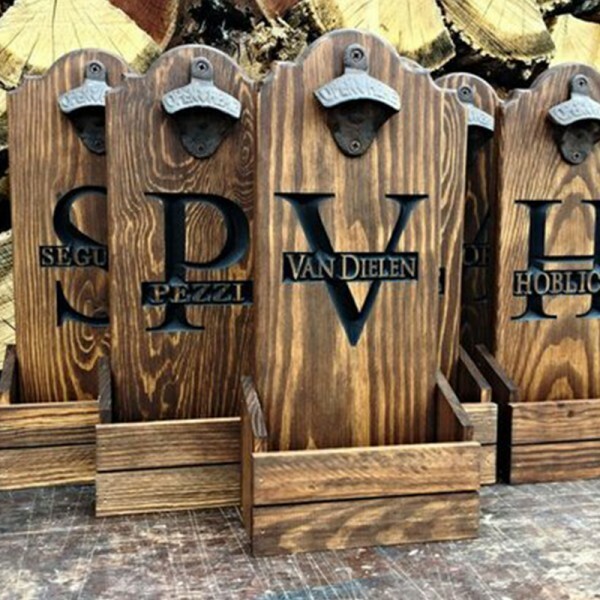 They are exactly what we were looking for for our groomsmen! We can’t wait to get them to the guys! This was one of the best products I’ve ever ordered! 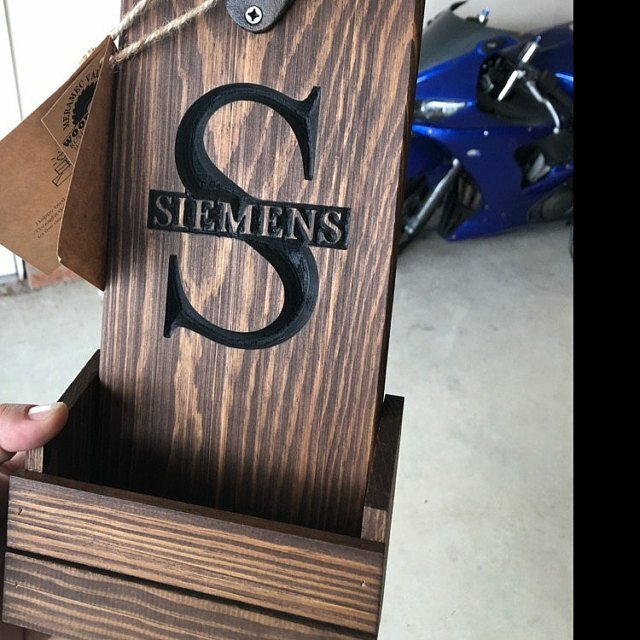 I spoke with the shop owners and they were able to work to get it to me in time for an engagement party. Highly recommended. QUALITY work! It’s gorgeous. This was one of the best products I’ve ever ordered ! I spoke with the shop owners and they were able to work to get it to me in time for an engagement party. Highly recommended. QUALITY work! It’s gorgeous. 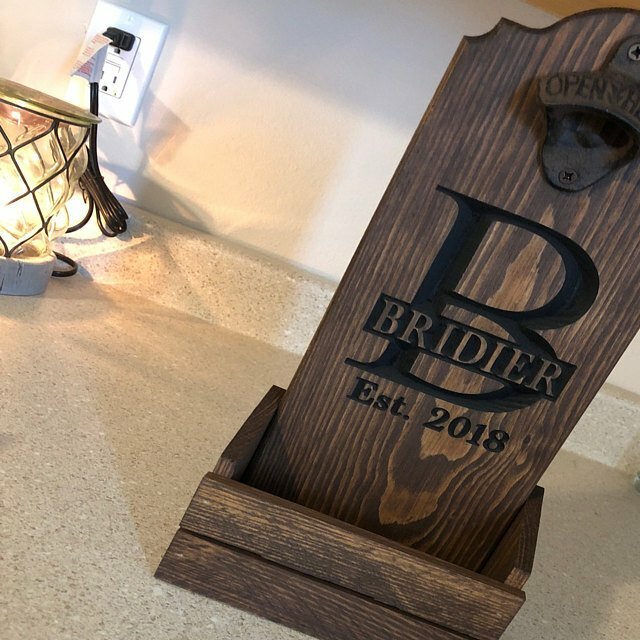 Question about Wall Mounted Bottle Opener For Groomsmen is Successfully Submitted.